DAVID LE/Staff photo. 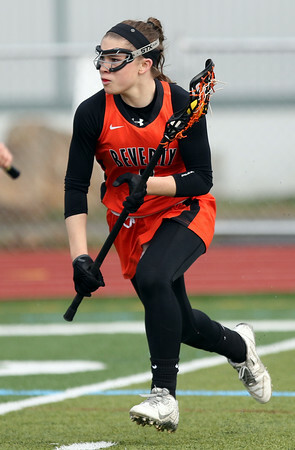 Beverly's Sabrina Beaudry sprints towards net and fires the ball past Peabody goalie Gianna Denisco for a goal. 4/12/16.